Sarah Hyndman is a consultant and educator who works with exciting clients. She creates innovative storytelling with typography workshops for communications teams, immersive events that are engaging for all, and fun talks with lashings of audience participation. 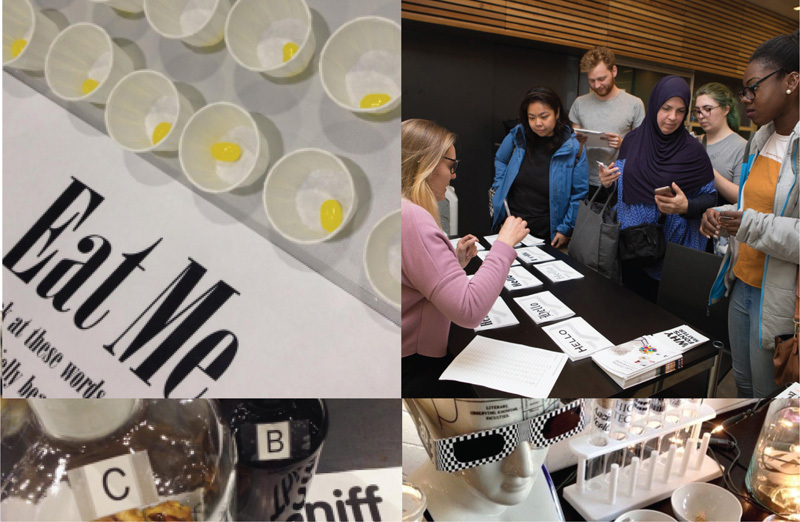 She is a published author who researches typography and perception through all the senses, and is exploring how type can be used to create positive change. What typography trends are forecast for 2018 and how can you use them? Part 2 in a series of posts looking at typography trends that we predict will influence graphic design in 2018, and explaining how you can incorporate each trend into your work. HOW TO USE THIS TREND: select a neutral and easy-to-read typeface family when you wish to be clear, accessible and for type to function like an invisible carrier of words. You may wish to combine this with a more decorative typeface for titles or headings, or to add a complimentary serif typeface to vary the tone of voice. 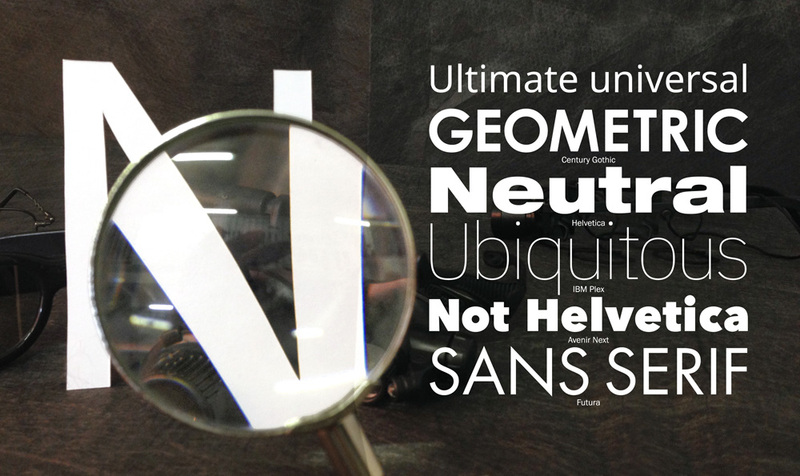 Geometric and neutral sans serif type styles continue to be ubiquitous, both as existing styles licensed from type libraries and for bespoke typefaces commissioned by companies. The current top three most popular typeface in the Typekit library are geometric sans serifs (Proxima Nova, Futura and Museo Sans). At number one is Proxima Nova Designed by Mark Simonson, which is a huge family of 48 sans serif fonts that gives a great deal of flexibility for designers to use across all touchpoints. Some font superfamilies also have serif fonts paired with the sans serifs, giving you the option to mix and match type styles harmoniously. What typography trends are predicted for 2018 and how can you use them? Keeping up with trends in typography can give you inspiration that keeps your design ideas fresh, or can enable you to differentiate yourself from (or align yourself with) your competitors. It also keeps you up to date with the exciting innovations happening in technology that could transform the future of visual communication. Based on the predictions of trend forecasters, experts and our observations, these are the top trends that we predict will influence typography in 2018 and beyond. We will take a look at each trend, the sector it is likely to appear in, and explain how you could use it. HOW TO USE THIS TREND: Select typefaces that have visual references pulled from a particular era or genre to add layers of meanings to your words, to trigger nostalgia, or to provoke a debate. You could include obscure references to be recognised only by people in the know. 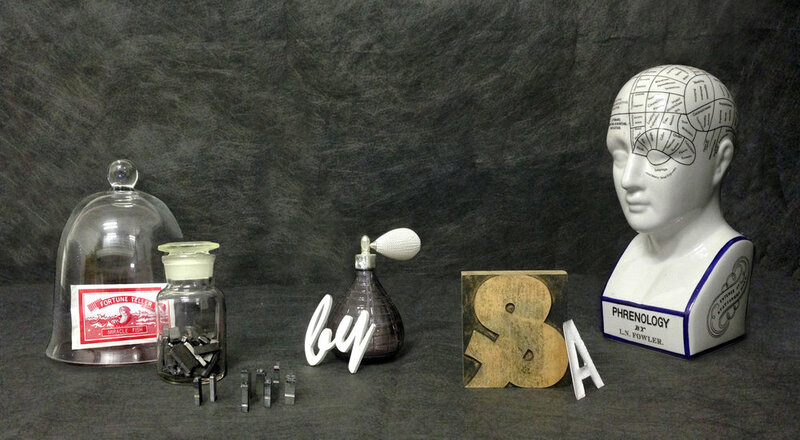 Typography featuring vernacular references pulled from a particular era or genre. These are intended to add layers of meaning or embed ideas from popular culture into the typeface design, sometimes adding clues or reference points to be recognised by those in the know. These styles are often intended to be ephemeral and conceived with the thinking of an instant-impact advertising campaign, rather than a brand identity built for longevity. Type designer Bruno Maag explained at a recent Type Thursday meet up that this reflects the trend he sees towards ad agency-led rebrands, which produce results designed for impact but not long-term functionality, and he suggests that advertising agencies are increasingly taking over the traditional role of the branding agency. 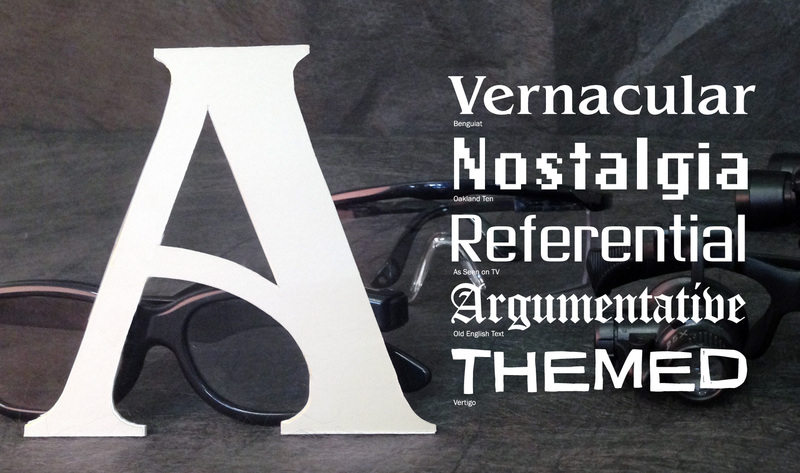 Use type styles with nostalgic references in the details to appeal to a new audience.